Cugher Glass designs, manufactures and sells turnkey plants for glass screen printing that can be highly customized and with a high innovation and automation content. This year Cugher celebrates half a century of activity. The main reference fields of the company, which is based in Novate Milanese (Milan) are automotive, home appliance and architectural. of management through its own technologies or those of high quality partners, from controlling to inspection and storage of glass. Thanks to recently signed agreements with leading players in the glass field, Cugher nowadays is known as a single supplier of complete lines, including washing machines, hardening furnaces and robot handling systems. 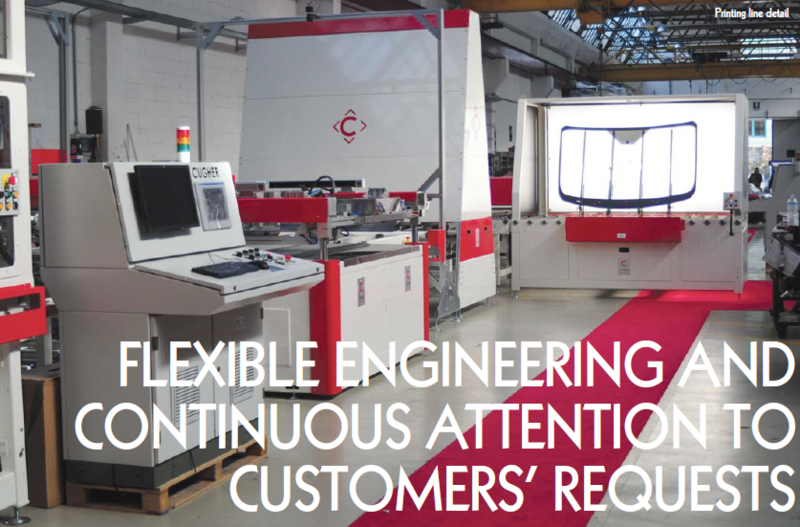 through Flexible Engineering, which is the theme that guides the supply of a printing line. 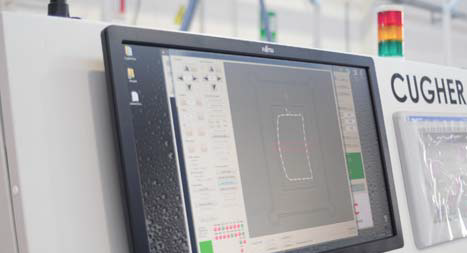 In fact, in the technical design phase, every single component of the line is conceived so that it can be customized and configured according to the contract specifications without the need of using excessive resources. 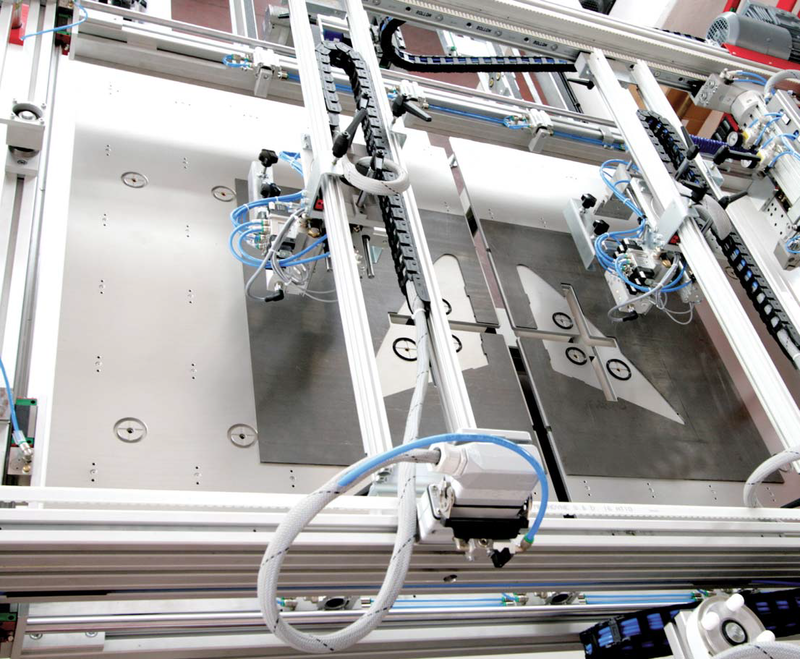 The high potential for customization can be seen clearly in the mechanical and electrical hardware as well as software of the supplied plants: in fact, not only the printing machines, the configuration of the glass handling and management system and the dryers are customized, but also the software that drives the system. boast. Every single request generates a technological response that consolidates and increases the know-how process so that Cugher can respond more effectively to every different request. A virtuous circle that we often find in Made in Italy: a distinctive feature of an industry that has always been ready to take new paths in searching solutions that respond and sometimes anticipate the demands from the market. 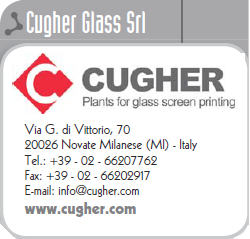 Cugher is part of this industrial panorama: in the field of screen printing on glass, thanks in particular to the driving force given by the automotive sector, today the company holds the role of undisputed holder of innovation.